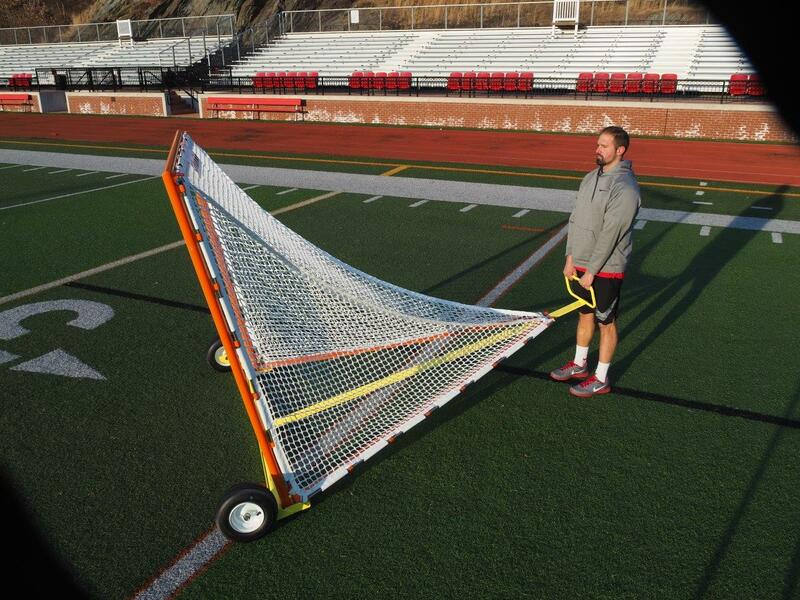 The CAGE CARRIER transports a Lacrosse Goal on and off the field, quickly and easily. The flat bed rack is designed with two 12" inflated wheels and a convenient handle. Also available with a hitch. 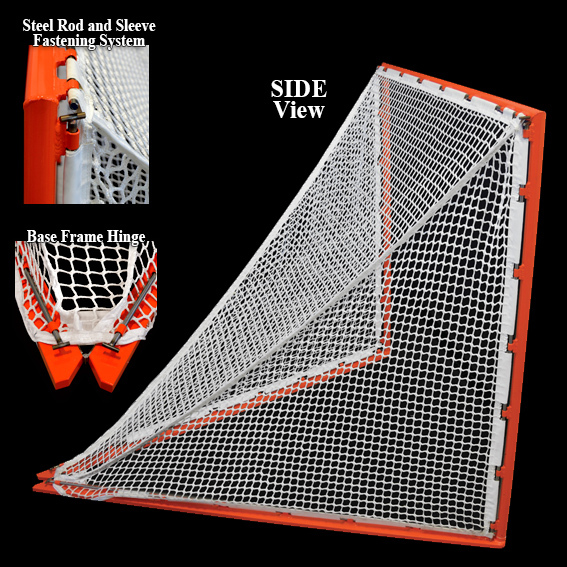 Just nest the Lacrosse Goal on the docking station and go. Measures 7' wide by 8' long. Made of aluminum. Lightweight. Will never rust! "The coaching point is quick and easy movement of Goals!"